The Federal Reserve will leave interest rates unchanged at the conclusion of this week’s FOMC meeting. Any excitement that the meeting might bring will be contained in the statement and the press conference. The balance sheet will be of particular interest to market participants. The Fed’s challenge on that front will be communicating that should they slow the pace of balance sheet reduction, they will do so for technical reasons rather than as a shift in their underlying policy stance. There is no question that the Fed will hold rates steady this week. Central bankers have made this abundantly clear by repeatedly stating that the Fed can afford to be “patient” when considering future policy changes. Now that policy rates are near the lower bound of neutral, the Fed believes they can slow the pace of rate hikes as they assess the impact of past policy actions. Policy thus has shifted to a more data dependent mode. The statement will be searched for signs of dovishness with a focus on the Fed’s description of the economy and any expectations for the path of policy in the months ahead. The data flow of course was crippled by the now-concluded government shutdown. That said, I suspect the Fed will retain a fairly optimistic view of the economy. 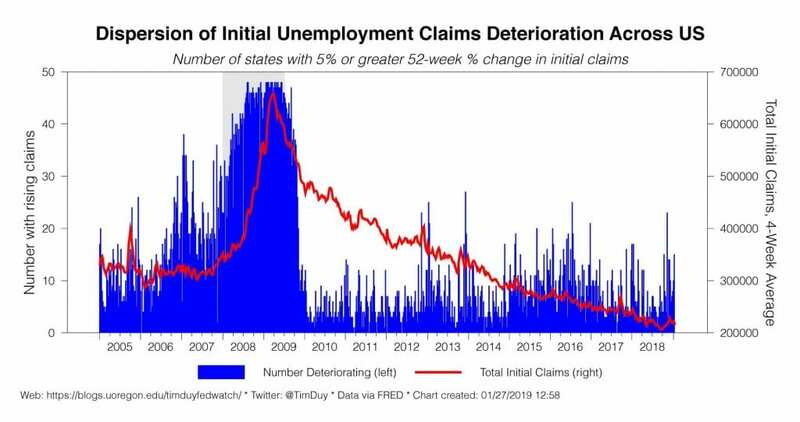 I am old enough to remember the recessionistas claiming that the uptick in claims in the final weeks of 2018 was of dire concern. Good times. That said, regional surveys have on average suggested some ongoing malaise in the manufacturing sector while the Markit PMI measure firmed in January. 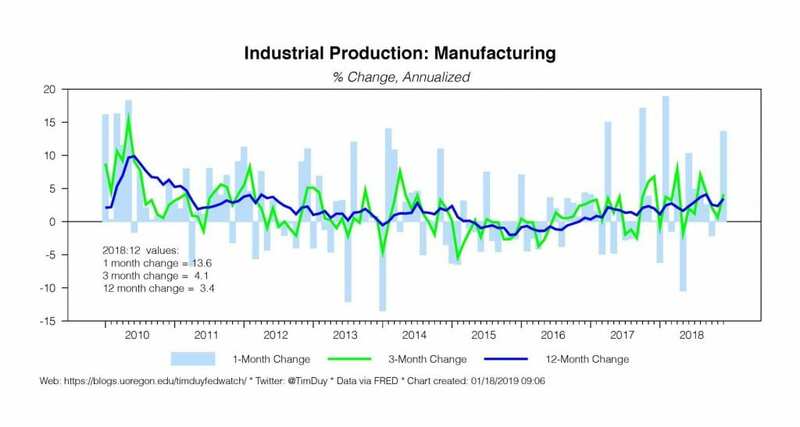 Something of a mixed bag but I suspect the Fed will place the more weight on the industrial production report rather than the survey data. The consumer sector of the economy is likely holding up despite the government shutdown. Consumer confidence slipped, but in my opinion that number had been elevated relative to actual spending since it jumped in the wake of Trump’s election. While we don’t have updated retail sales data yet, Redbook retail sales held strong with a solid year-over-year gain of 6.7% in the last week’s release. Also, Neil Dutta of Renaissance Macro, using Google search data, estimates that retail sales growth accelerated in December. Housing remains something of a red flag that bears continued watching. Existing home sales dipped in December, likely weighed down by high prices, an earlier rise in mortgage rates, and increased uncertainty related to the stock market turbulence. That said, I suspect that slower price appreciation will allow time for income growth to improve affordability. In addition, mortgage rates have pulled back from their highs. On net then I don’t think that housing enters a deep, sustained downtrend in the months ahead. 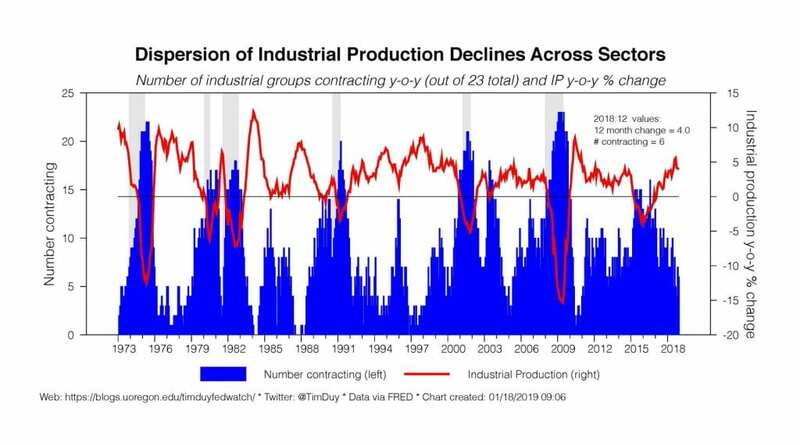 At a very basic level the lack of a substantial upswing in construction activity after the bubble-related collapse last decade means that the potential downside to the sector is relatively limited. Will the Fed drop this sentence and end explicit forward guidance in the statement? I think the problem for the Fed is that dropping this language will be seen as a signal that the Fed is done raising rates for the cycle. In other words, lack of explicit forward guidance in the statement will be taken as explicit forward guidance nonetheless. I don’t think the Fed wants to send a signal that they are done hiking for the cycle and hence will need to retain some language that implies a tightening bias even if only implicitly. I also think the Fed is naïve to believe they can stop giving forward guidance. They can stop making promises about policy long into the future, but they will always find themselves providing at least near-term forward guidance. Reporters will certainly pepper Federal Reserve Chairman Jerome Powell with questions about the Fed’s balance sheet. And just as certainly Powell will come more prepared for those questions compared to the December press conference. I suspect that he will have more clearly defined talking points on the topic. Indeed, I would anticipate a less “off-the-cuff” feeling in general for this presser. The balance sheet is a tricky issue for the Fed. It is fairly clear that the don’t see the balance sheet reduction as a cause of recent market turbulence. They tend to think the decline in the balance sheet is a background technical issue. Hence central bankers don’t see the size of the run-off as particularly relevant for stance of monetary policy and focus instead on short-term policy rates. Reducing reserves close to the lowest level that still corresponded to the flat portion of the reserve demand curve would be one approach consistent with the Committee’s previously stated intention, in the Policy Normalization Principles and Plans that it issued in 2014, to “hold no more securities than necessary to implement monetary policy efficiently and effectively.” However, reducing reserves to a point very close to the level at which the reserve demand curve begins to slope upward could lead to a significant increase in the volatility in short-term interest rates and require frequent sizable open market operations or new ceiling facilities to maintain effective interest rate control. 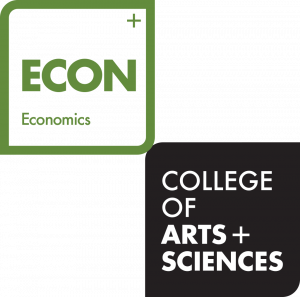 These considerations suggested that it might be appropriate to instead provide a buffer of reserves sufficient to ensure that the Federal Reserve operates consistently on the flat portion of the reserve demand curve so as to promote the efficient and effective implementation of monetary policy. 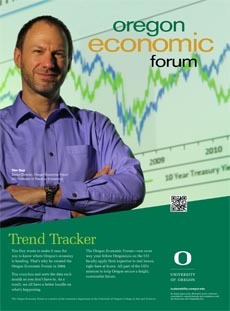 Participants discussed options for maintaining control of interest rates should upward pressures on money market rates emerge during the transition to a regime with lower excess reserves…Some participants commented on the possibility of slowing the pace of the decline in reserves in approaching the longer-run level of reserves. Standard temporary open market operations could be used for this purpose. In addition, participants discussed options such as ending portfolio redemptions with a relatively high level of reserves still in the system and then either maintaining that level of reserves or allowing growth in nonreserve liabilities to very gradually reduce reserves further. Several participants, however, expressed concern that a slowing of redemptions could be misinterpreted as a signal about the stance of monetary policy. The idea of slowing the balance sheet run-off has only gained traction since the December FOMC meeting. See Nick Timiraos in the WSJand Victoria Guida at Politico. The ground has been laid. My expectation then is that upon questioning Powell will open the door to slowing the balance sheet run-off as more than a theoretical possibility but will emphasize, or attempt to emphasize, that changes to the balance sheet policy do not indicate a change in the stance of monetary policy overall. Good luck with that though; I suspect that any indication that the Fed is winding down quantitative easing will be read as a dovish signal. Moreover, the Fed will come under fire for supposedly bowing to markets. I don’t think this is true, but that will be the perception. Bottom Line: The Fed will hold steady this week. I anticipate that barring any evident inflationary pressures, the Fed will be content to stay on the sidelines through at least the middle of the year. I think the underlying data will still prove too strong for central bankers to signal that they are at the end of the rate cycle. They will though want to communicate that regardless of their expectations, actual policy will be made with patience and flexibility. They will also want to communicate that the ultimate size of the balance sheet remains a technical issue at this point.